Dairy free vs milk free – what’s the difference? One of the question marks regarding the well-publicised research into a2 milk – as I touched upon in a recent blog – is that much of it has been funded by the a2 Milk Company™ which is its leading supplier…. As a second-generation Italian, any show promising artisinal and fine Italian foodie and beverage delights is going to be a huge draw to me, but I’d gone along to the excellent Bellavita Expo additionally in the hope of finding some free-from products…. 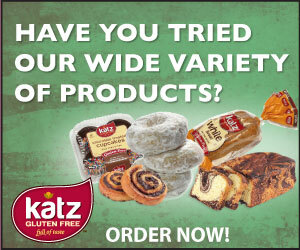 How ‘real’ does real gluten free bread have to be? It’s Coeliac UK’s Awareness Week – this year, the charity has pushed for a #glutenfreevolution, focusing on eating out and eating on the go – and it’s also Real Bread Week – Sustain’s initiative to champion healthy, naturally made bread, made the old-fashioned way. Both valuable initiatives….